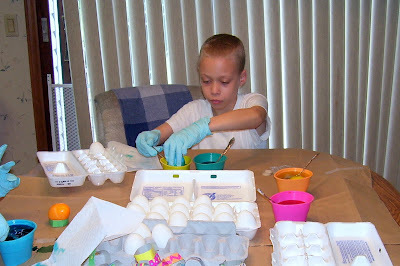 Paging, Doctor Fortner...we have eggs that need to be dyed! 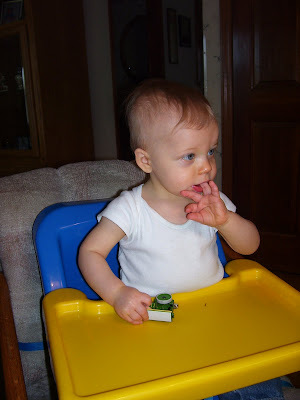 After last year's, skin dying fiasco...we thought we would try gloves, as the wimpy little wire spoon, doesn't cut it! 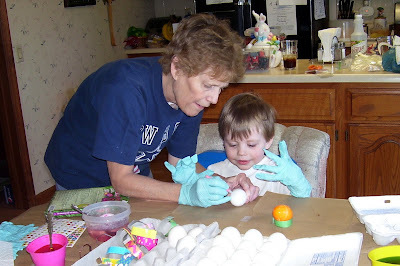 Grandma and Mikey writing his name! 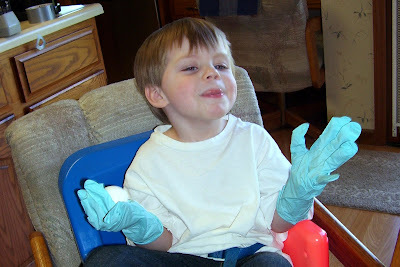 Dr. Dylan, the mad scientist! Dylan, was our brave and creative egg dyer! At one point we had duct tape, rubber bands, and other creative mediums on the table to make different designs! Ryan just watched and played with a car. 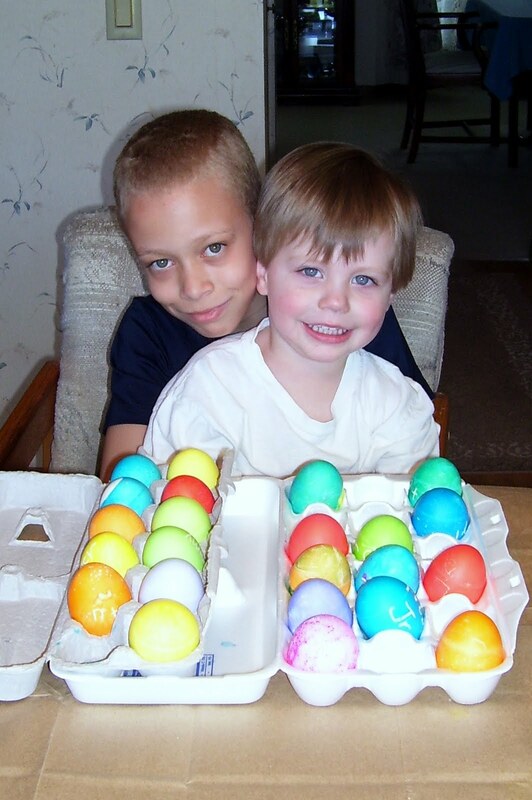 Dylan and Mikey with all of their beautiful Easter eggs!